25 Two Bed Units . 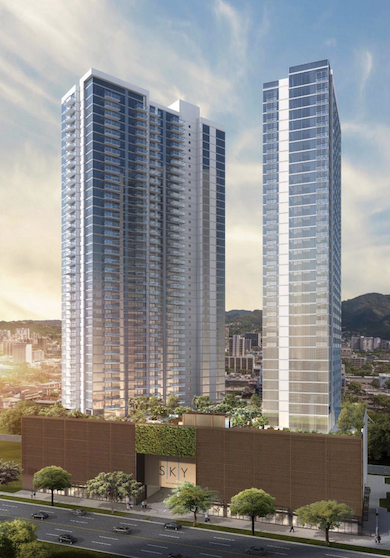 Sky Ala Moana will consist of two towers (Sky West & Sky East). 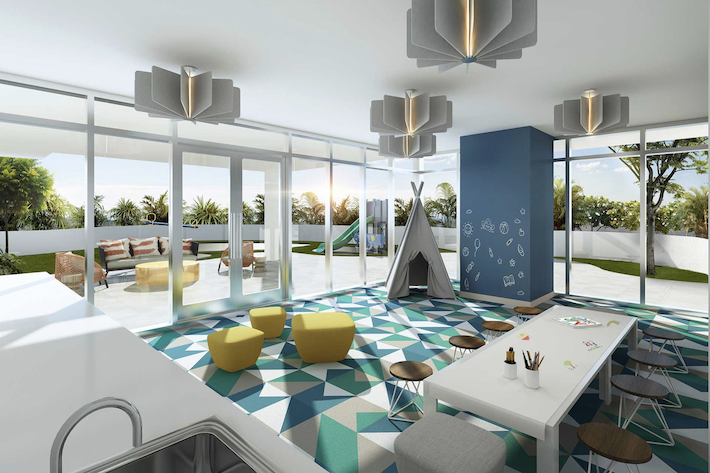 Sky West will feature residences and Sky East will be a condo-hotel. 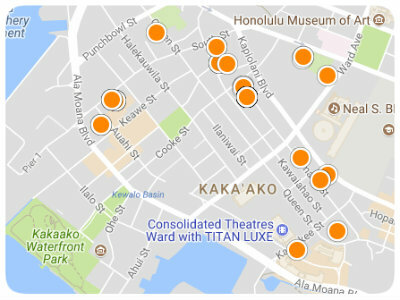 The project has a great location off of Kapiolani Boulevard walking distance to Ala Moana Shopping Center. 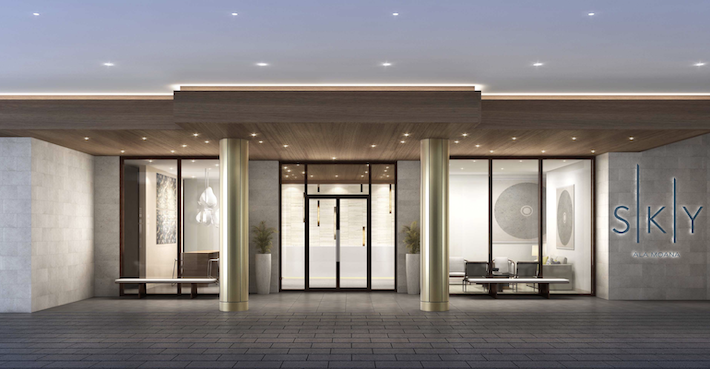 From the renderings above we can see that the entry to the building including the porte cochere and the lobby will be quite grand and very well designed. All of the common areas within the project have a sophisticated design element which truly makes the project feel luxurious. 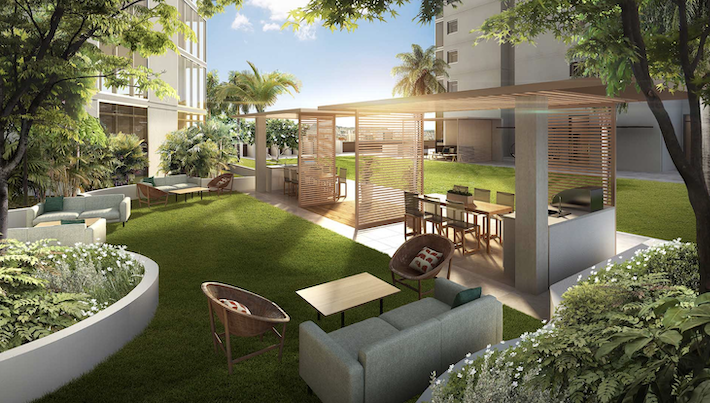 Sky Ala Moana will feature 84 affordable housing unit for sale, called the Sky Flats which will be located in Sky East, with 390 market rate units located in Sky West. At this time I'm not sure when the affordable housing sales will start and I don't know what the eligibility requirements will be. Want to read up on some FAQs for the affordable housing program? Check out our Affordable Housing FAQs. 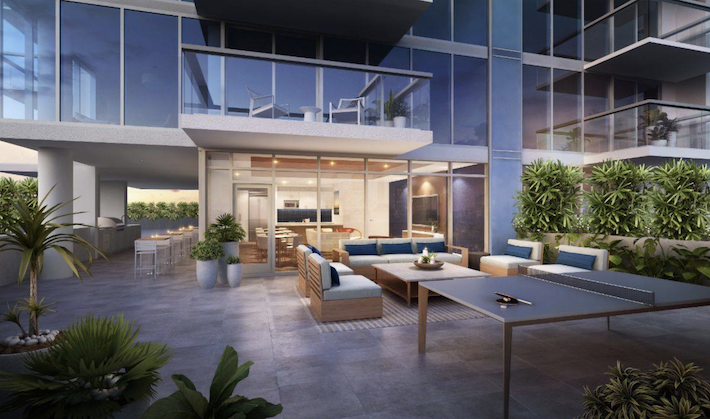 The architect for the project is Design Partners Inc., they have a proven track record with condo projects in the Kakaako and Midtown Ala Moana Neighborhood. 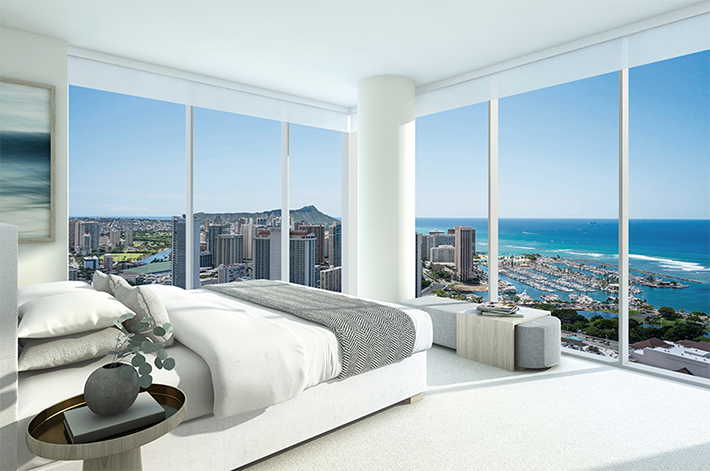 They've also designed Waihonua, The Collection, Keauhou Place, The Central Ala Moana, Azure Ala Moana, and Kapiolani Residence so when it comes to high-rises these guys know what they're doing. 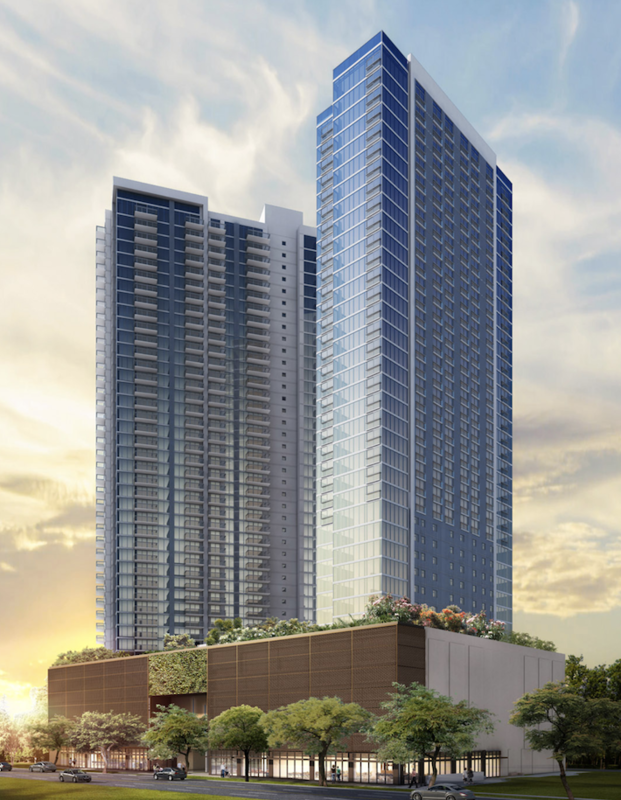 The project will be located at 1388 Kapiolani blvd. just a block away from world-famous Ala Moana shopping center. Along with having a tower dedicated for a condo-hotel which will allow nightly rentals, the residential tower will have a minimum 30 day rental providing the option for future residences to do Airbnb on a minimum 30 day basis. Similar to Ae'o and 'A'ali'i in Ward Village the two towers of Sky Ala Moana will be facing each other. The "V" shape orientation of the buildings will allow for great city and ocean views. 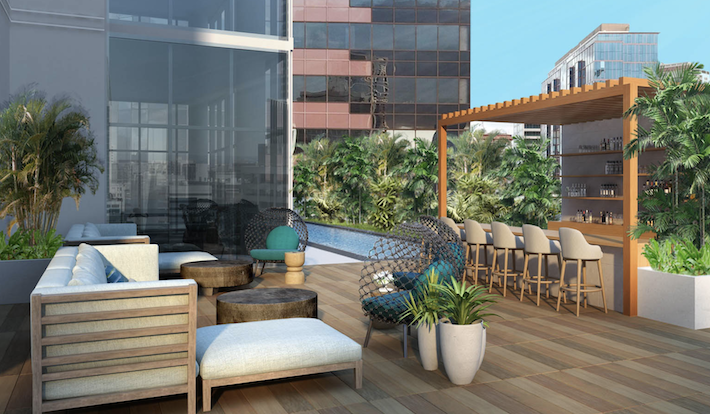 The amenity deck at Sky Ala Moana will be one of the largest in the Midtown Ala Moana and Kakaako neighborhood with over an acre of recreation space. 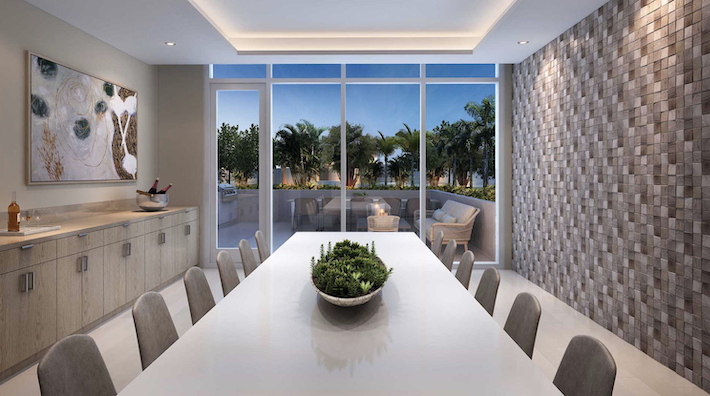 Lush landscaping and plenty of open space will be a common theme throughout whil also creating private spaces for entertaining family and friends. There will also be over 400 bike stalls available to residents. 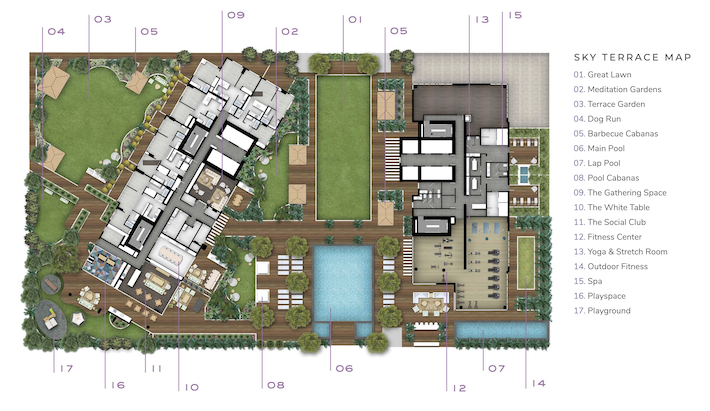 There will be shops on the ground floor of the project with the amazing tree lined streets of Kapiolani Blvd adding to the ambience of the building. 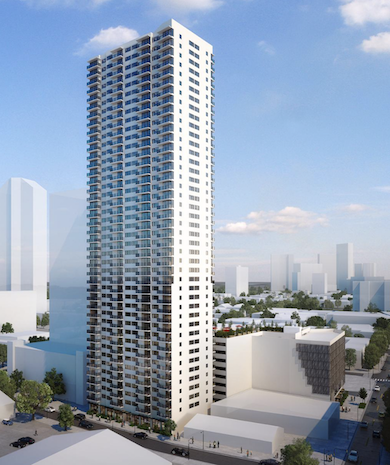 With such large street frontage, projects like this will slowly transform the look and feel of Kapiolani Boulevard. Within the building there will be a plethora of amenities but the neighborhood itself is truly an extension of your home. In the Midtown Ala Moana neighborhood you have some amazing restaurants like MW Restaurant and Sushi ii literally within a five minute walk. You have more grocery stores than any other neighborhood on the island within a 10 minute walk which include Walgreens, Target, Foodland Farms, Don Quiote, Longs, Walmart and Palama Market. 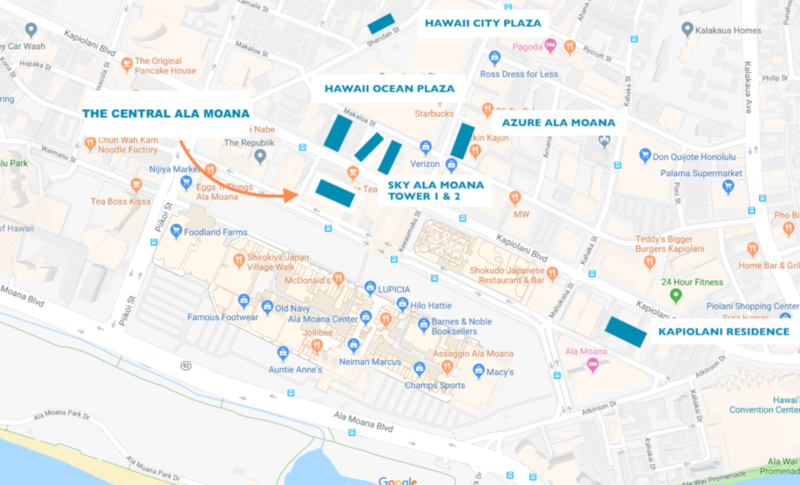 Ala Moana Shopping Center is just a few minutes walk away where you can find world-class shopping and dining with Ala Moana Beach Park located within a short Biki ride away too. 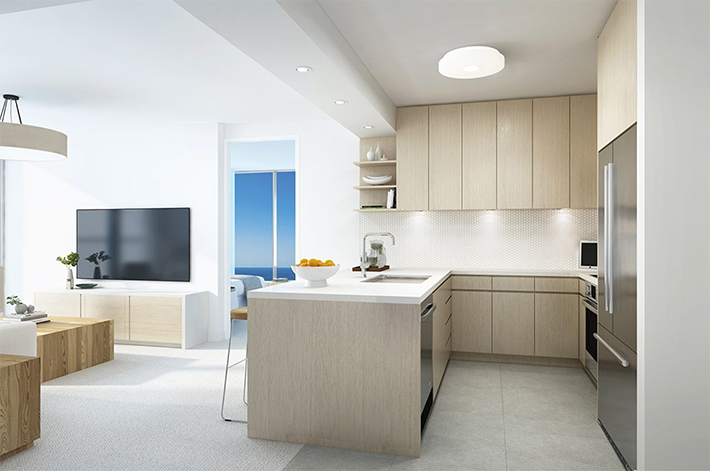 The developer hasn't gone into the detail about what types of finishes or materials will be used in the project but if we take a look at the renderings it seems like the general them is "light and bright". We can expect light colored kitchen cabinets with no hardware, which is what we're seeing a lot of right now and something I'm a fan of. It looks like they could be going with Bosch appliances with great under cabinet lighting. It's likely the countertops will be quartz based on what a lot of the other developers are going with right now but it's a bit too early to say. 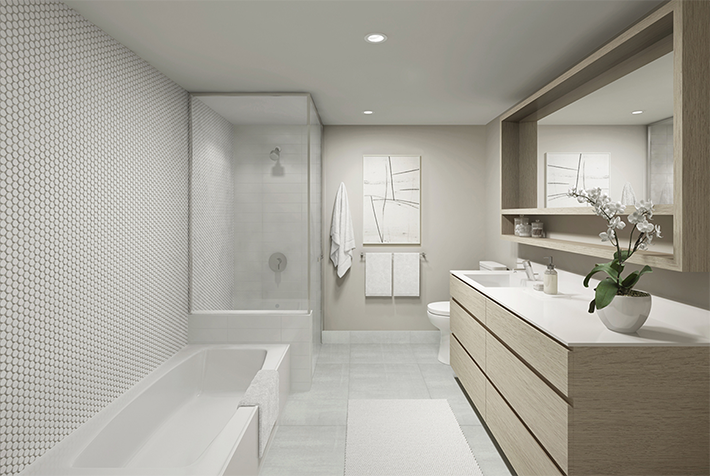 There will be floor to ceiling glass which allows for the maximum amount of natural light to come into the unit. 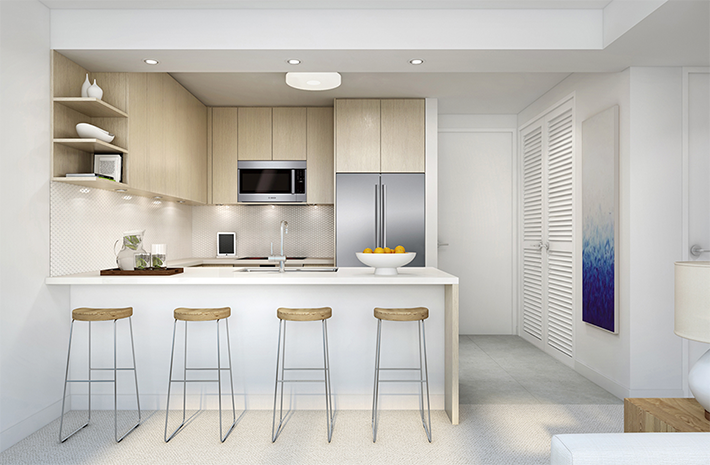 By looking at the rendering below of the kitchen, we can see a utility closet the side of the door as you enter. If this is similar to The Collection, that'll be where your washer and dryer will be located along with your water heater. 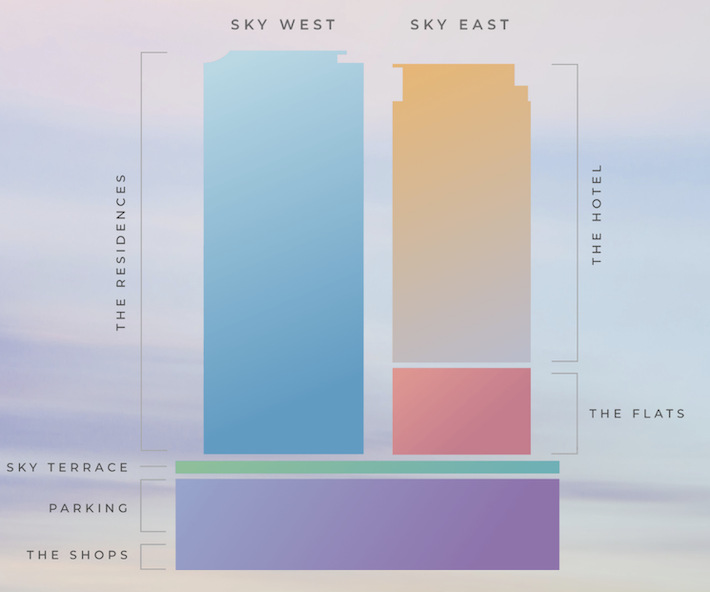 The floor plans below are for Sky West the residential tower. 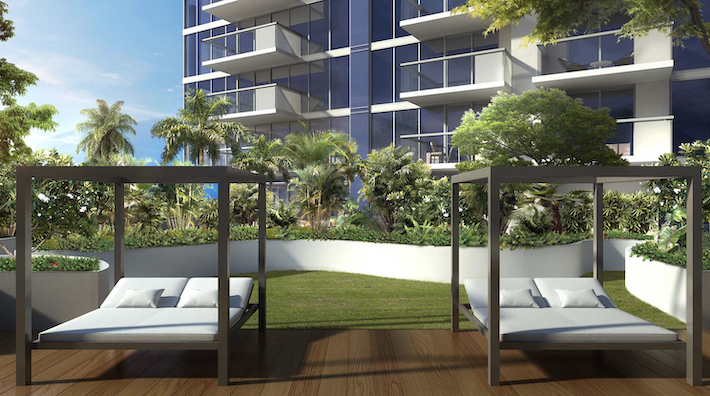 You can see that there will be five one-bedroom floor plans and six two-bed two bath floor plans with all units in the building featuring a lanai with units located on the amenity deck level featuring terrace space. 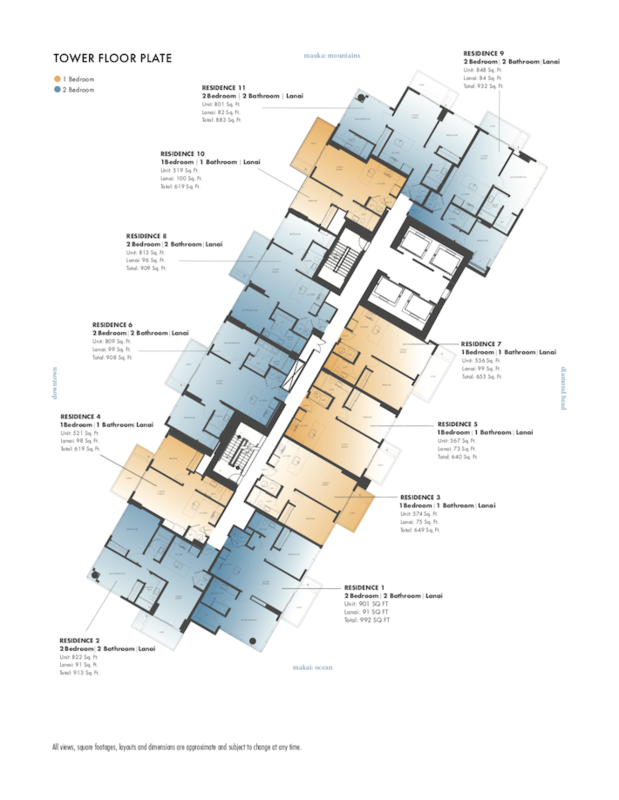 My personal favorite floor plan in the building is residence 11 the mountain west facing corner two-bedroom unit because of the unobstructed mountain views on the cool side of the building.